At SOBOBA Medical Weight Loss Clinics we have been using appetite suppressants safely and successfully for many years to help patients lose weight. And while new weight loss medications have been brought to the market over the past year, we have taken a cautious approach. We have found that the standard, long studied, appetite suppressants work well for the vast majority of patients. 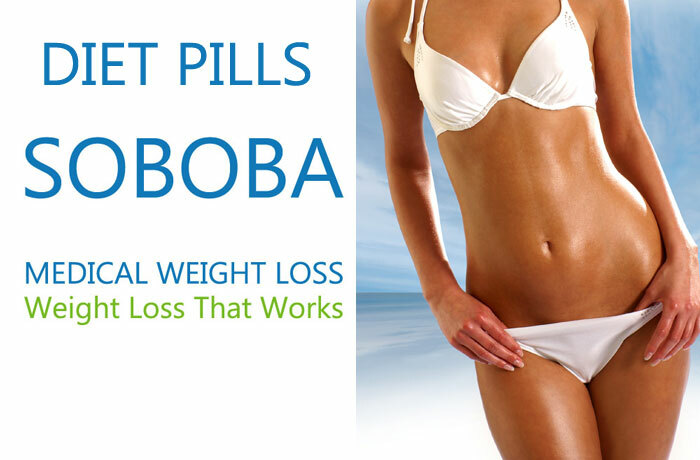 SOBOBA Medical Weight Loss Clinics, offer several FDA approved appetite suppressants to help you during the weight loss process. Appetite Suppressants (Diet Pills) promote weight loss by altering the brain chemistry and the person doesn’t feel hungry. Are appetite suppressants approved by FDA? How do Appetite Suppressants (Diet Pills) Work? Appetite suppressants such as phentermine (Fastin, Adipex), diethylpropion (Tenuate), and phendimetrazine (Bontril) promote weight loss by altering brain chemicals that affect mood and appetite. Appetite Suppressants, Diet Pills have been successfully used to help patients lose weight. Appetite suppressants are an effective tool to help patients adhere to a reduced-calorie diet during the weight loss process. We offer several FDA approved Diet Pills to help suppress your appetite and assist you during the weight loss process. Are Appetite Suppressants (Diet Pills) Safe?